Learn to develop your untapped potential and drive significantly better results for yourself, your teams and your organization. When only change is constant, how do business leaders maintain their balance? 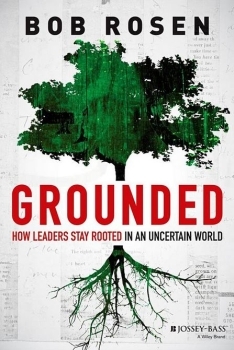 Grounded: How Leaders Stay Rooted in an Uncertain World by Bob Rosen thoroughly answers this question and shares the personal stories of numerous CEOs who used these ideas to benefit themselves, their employees and their companies. As a Small Business Trends book reviewer, I am constantly on the lookout for insightful books to share. When I saw that ExecuNet had awarded Grounded their coveted Sirius Award, The Best Business and Career Book for 2013, I had to learn more. 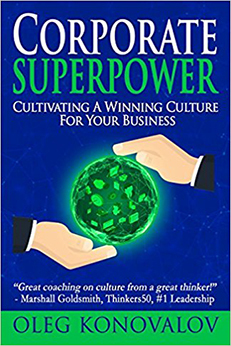 The award is an ExecuNet members’ choice honor bestowed upon new books that enlightened business executives in leadership and their careers during the past year. Grounded comes highly recommended. Rosen suggests that personally healthy leaders can more easily withstand chaos. The healthier the leader is – the stronger the organization will be as a whole. Showing readers how to build a personal leadership model that works with their values, goals and capabilities. Featuring stories from leaders in a variety of organizations including the New York Fire Department, PricewaterhouseCoopers, The Lego Group, and Medstar Health. Giving leaders practical tools to face their toughest challenges with greater skill, confidence, and impact. In additional to all of this disruptive change and economic turbulence, many leaders must also contend with clamoring shareholders, cynical employees, and personal burnout. Part three puts these leadership ideas into action. Grounded shows how healthy leaders always start with human relations through expressing core values, inspiring leadership and by developing a clearly defined culture. Then, and only then, can financial results be used as the scorecard of their success. Bob Rosen is a global CEO advisor and organizational psychologist. His clients include Global 2000 corporations, government and non-governmental organizations, and selected associations around the world. He founded Healthy Companies International over 20 years ago where he created the Healthy Leadership Model, which shows leaders how to develop themselves for greater impact. Bob earned a PhD in Clinical Psychology at the University of Pittsburgh. He is a frequent media commentator who has been quoted in the New York Times, Wall Street Journal, Fortune, Bloomberg Businessweek, Financial Times, Time, and Chief Executive Magazine. If you realize that the bottom line isn’t enough anymore in today’s unstable global economy and that what seems to be missing from your success as a leader is the inability to bring your values to the corporate table – then Grounded is for you. While it may seem that Grounded only applies to CEOs, it truly strives to help leaders at every level to develop themselves personally so they can take confident action to build healthy organizations and positively impact their company’s success. Successful businesses are based on healthy relationships – and leaders who are self-aware. This pragmatic book shows how leaders can develop their untapped potential and drive significantly better results for themselves, their teams and their organizations. It uses interviews and case studies to stress this important message to leaders – focus on improving yourself before you try to fix your company. For me, one of ways to stay grounded is to always be there for your market. Aside from constantly giving them good content, it also helps if you will consistently converse with your market and be there for them.